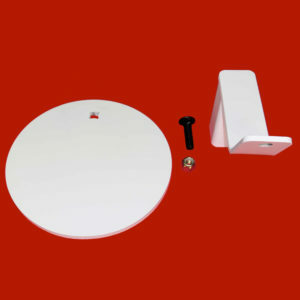 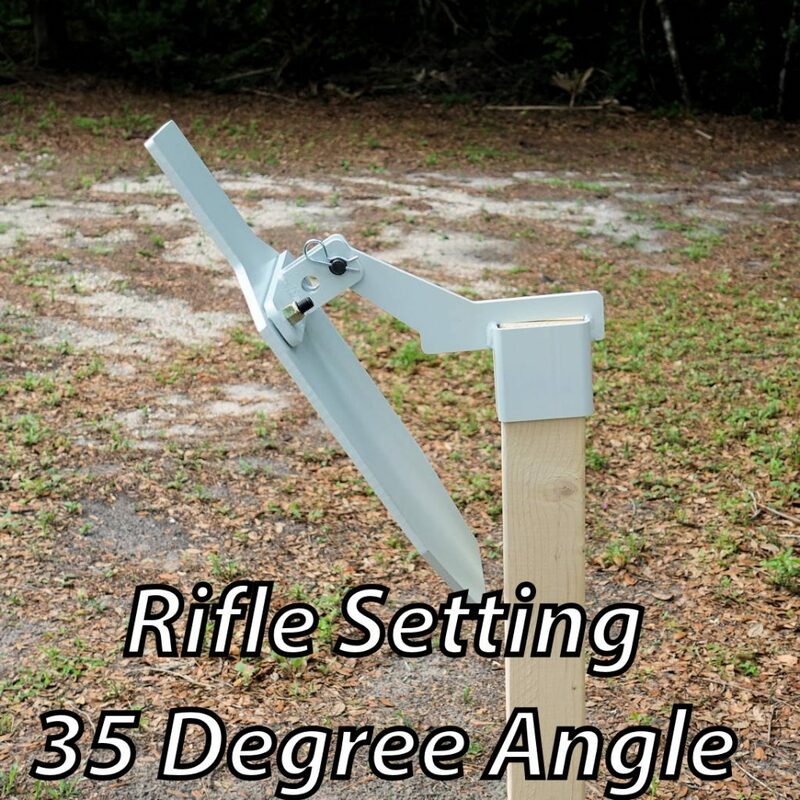 The Superior Ideas AR500 2×4 Stand is one of the most versatile target stands available! 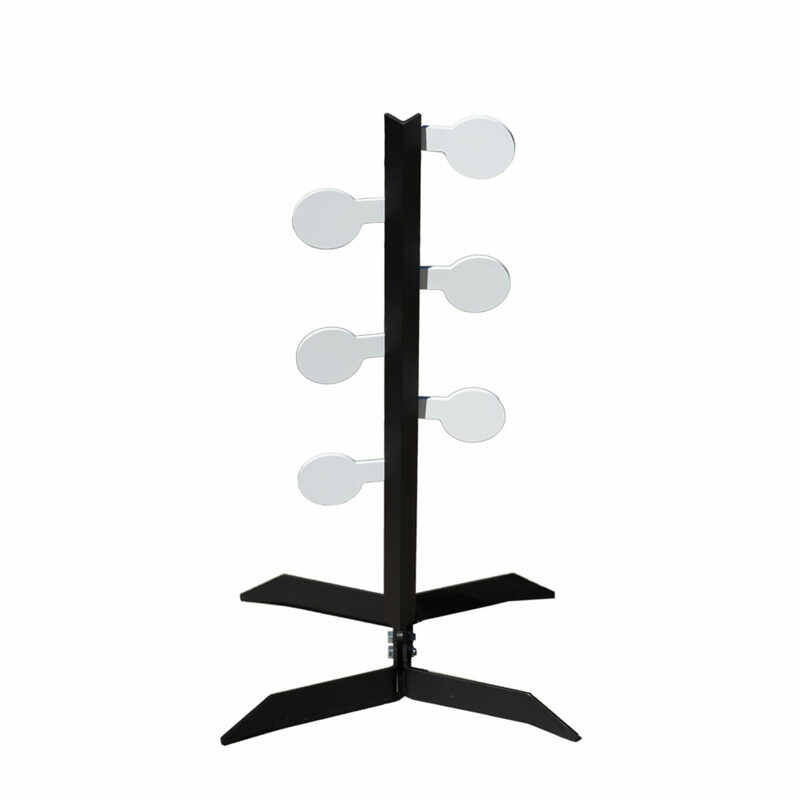 Compare our stand to our competitors – our legs are longer. 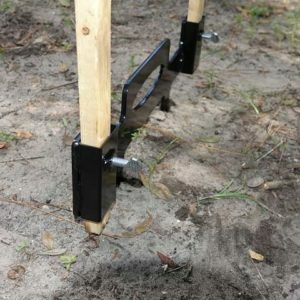 This makes for a stronger, more stable stand. 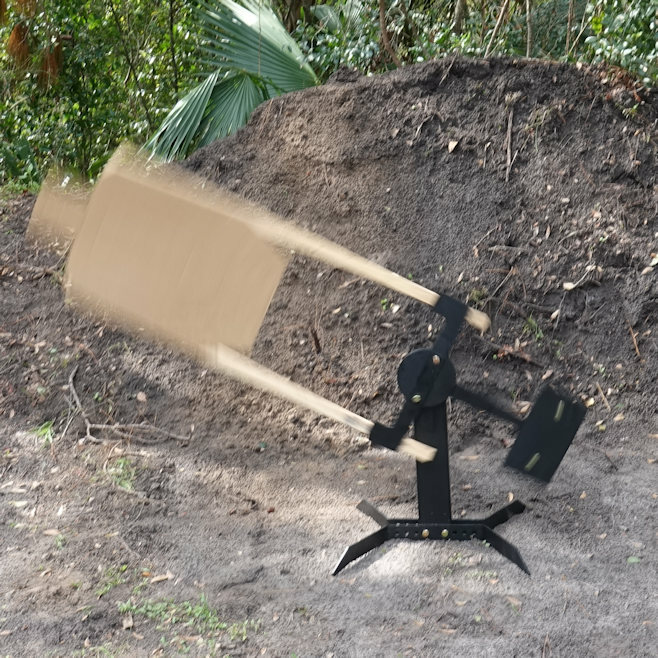 It costs more to do this, but it’s worth it! 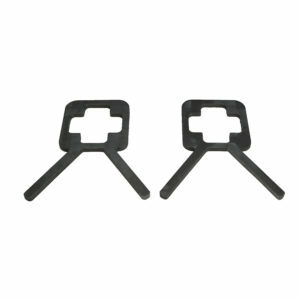 Our AR500 2×4 Stand brackets are made out of premium 3/8″ AR500 steel for durability. 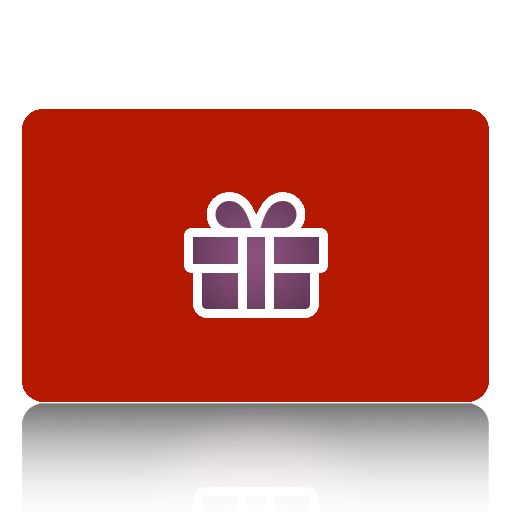 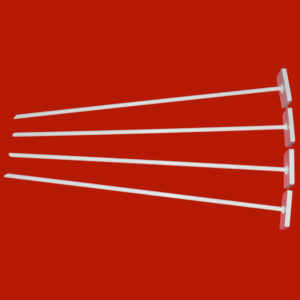 The unique design allows the user to put the 2×4 vertically or horizontally. 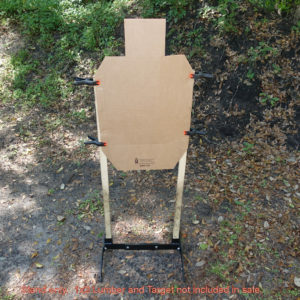 Using the horizontal placement the 2×4 forms a shelf for Knock over targets, cans, etc. 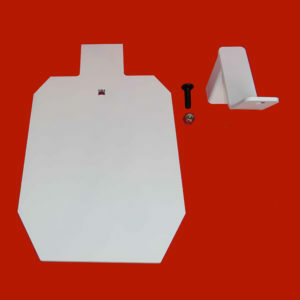 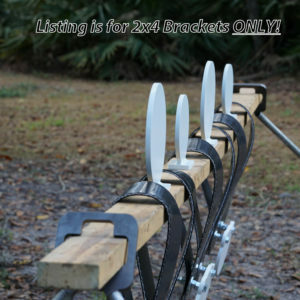 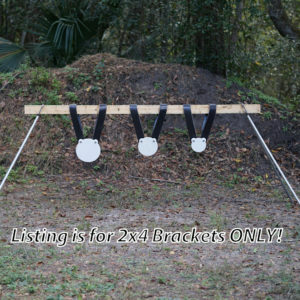 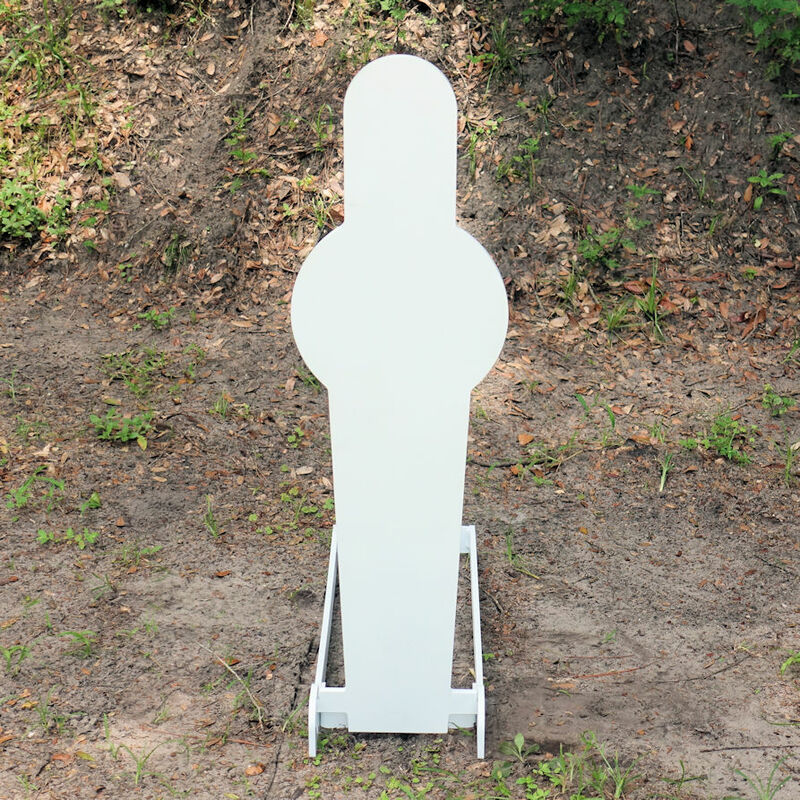 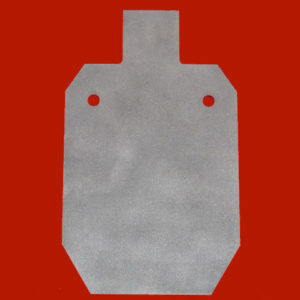 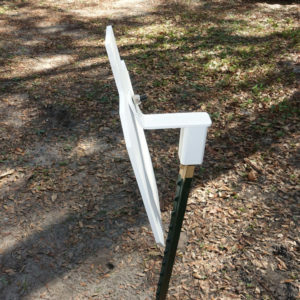 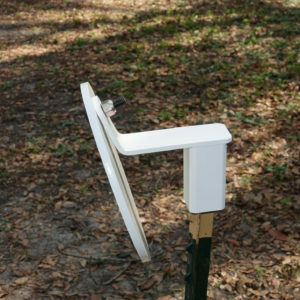 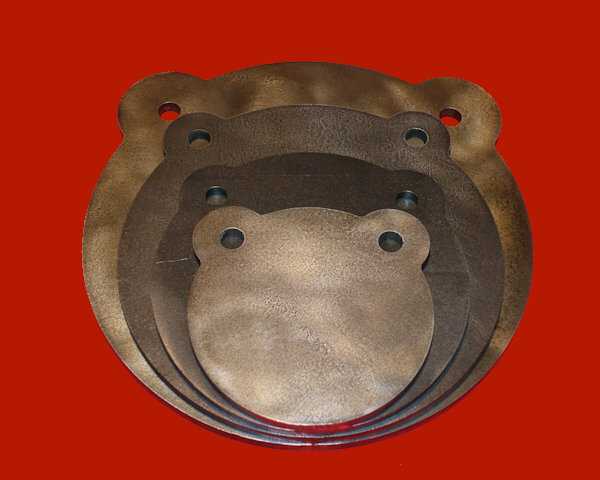 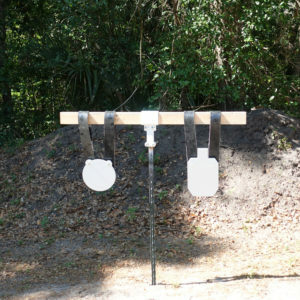 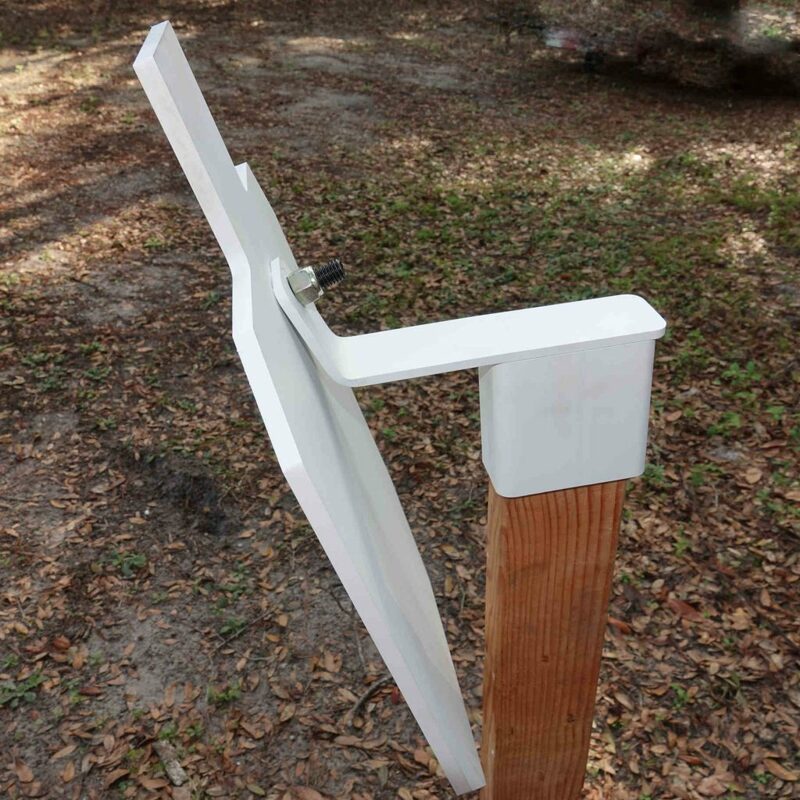 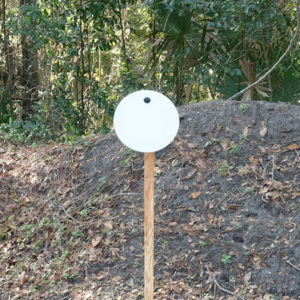 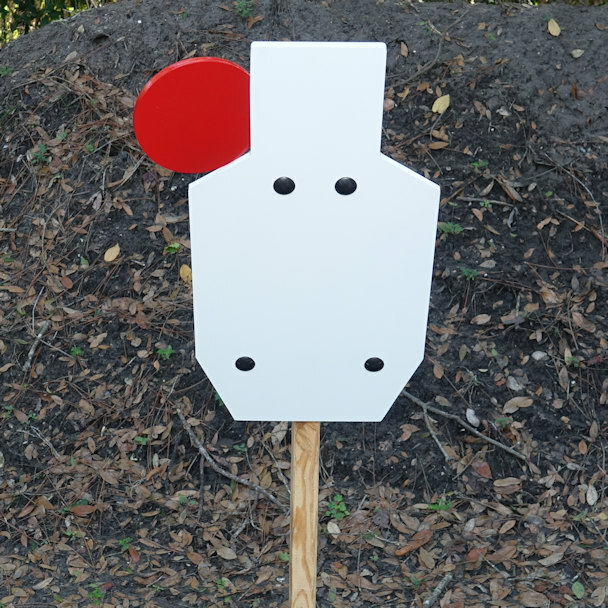 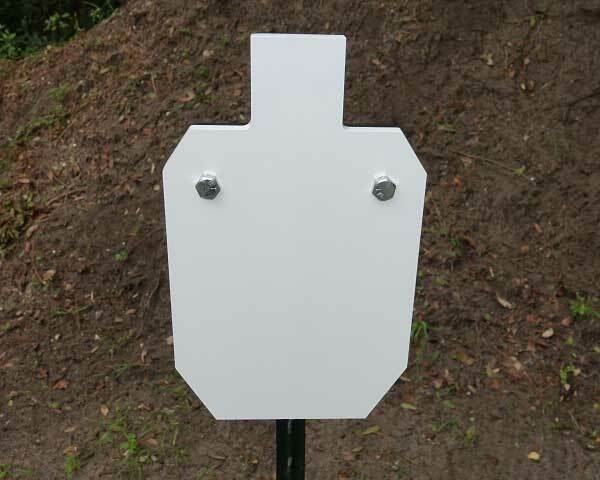 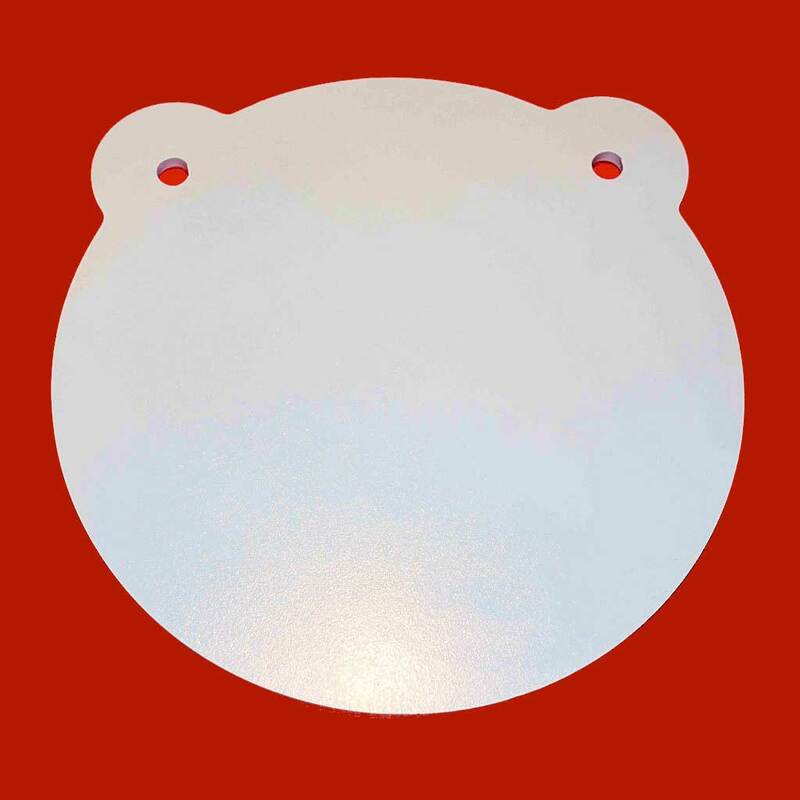 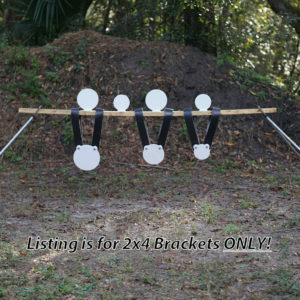 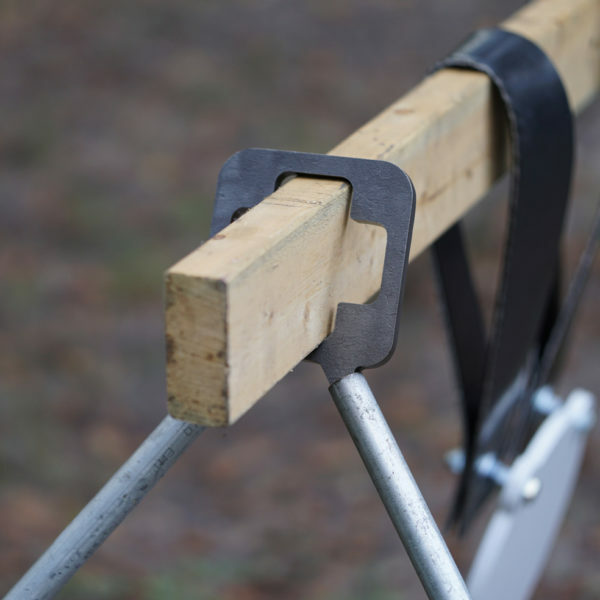 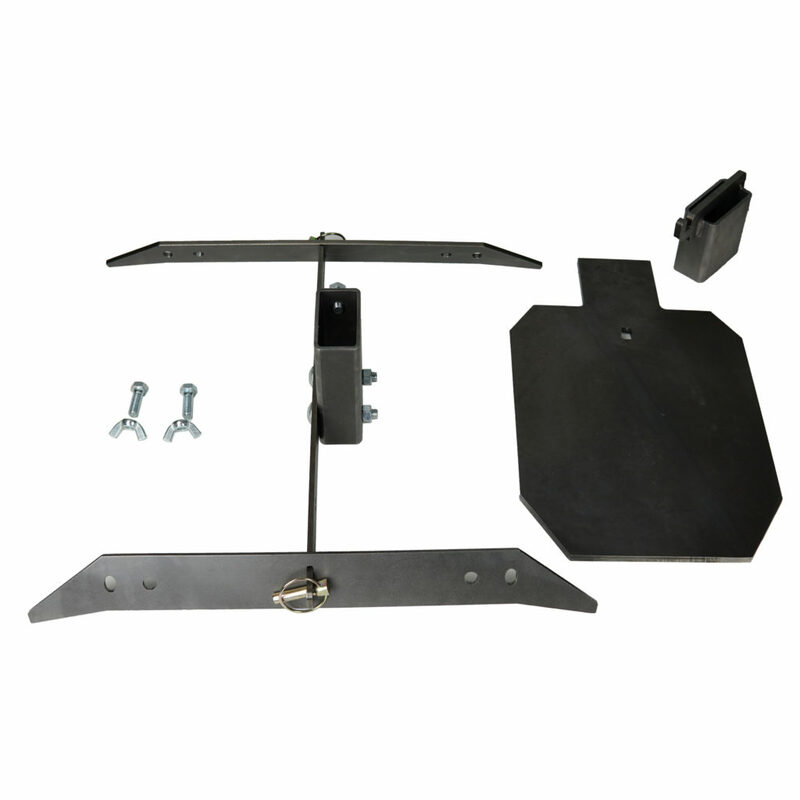 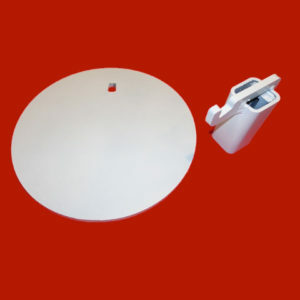 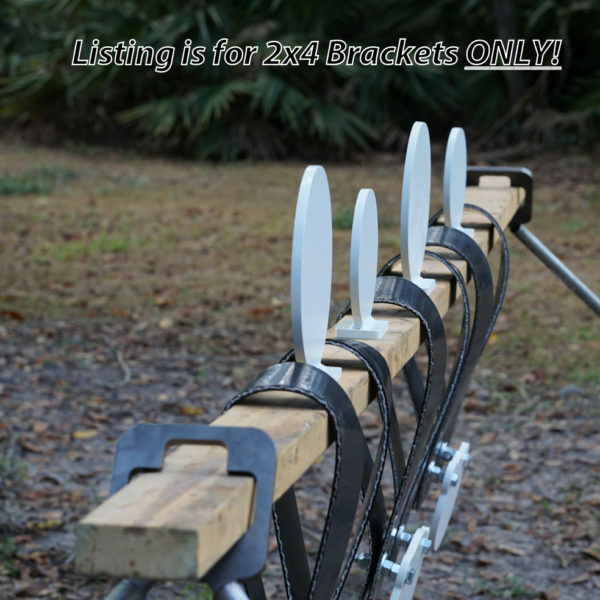 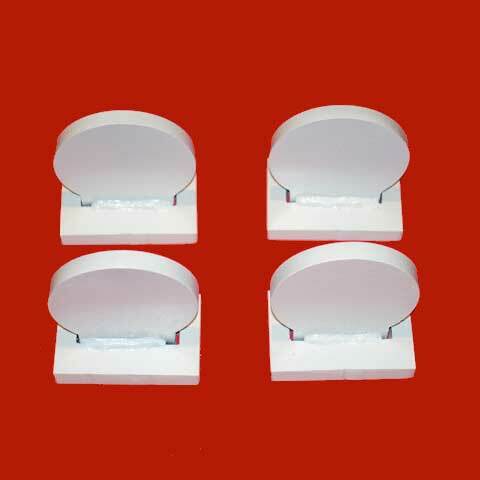 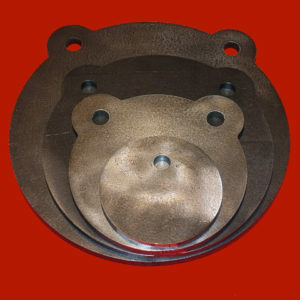 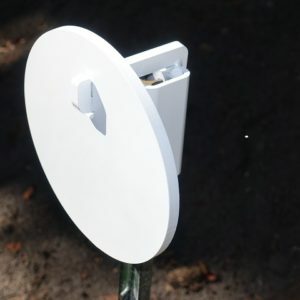 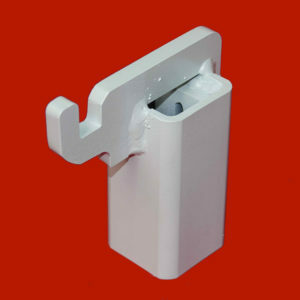 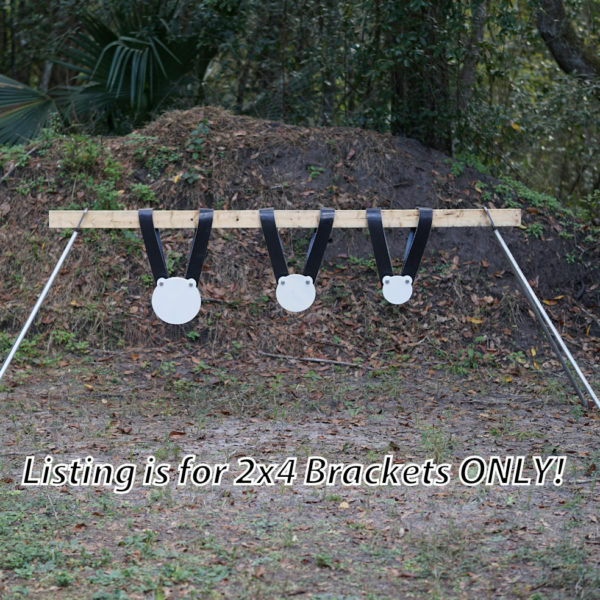 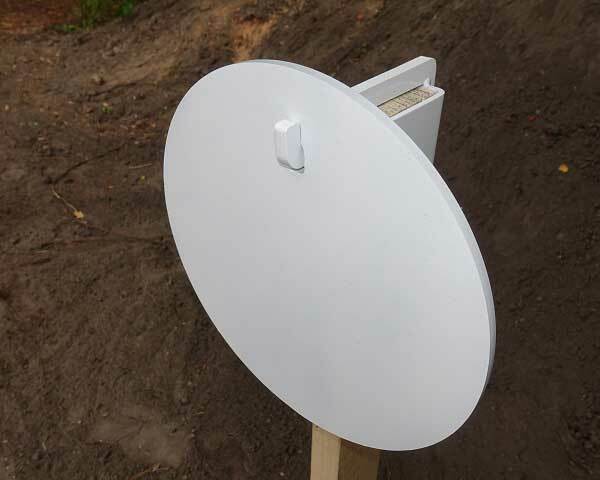 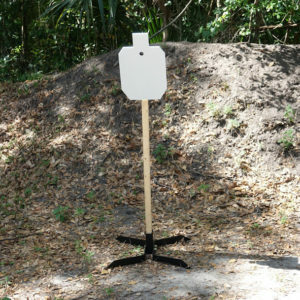 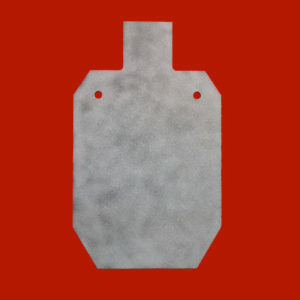 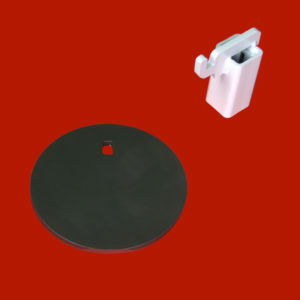 The vertical placement gives you a surface to bolt targets on, if desired. 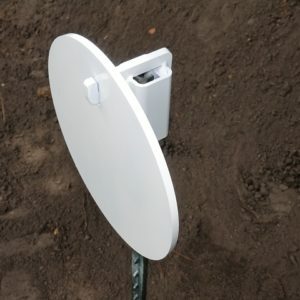 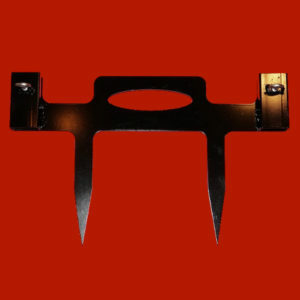 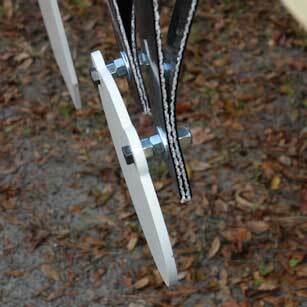 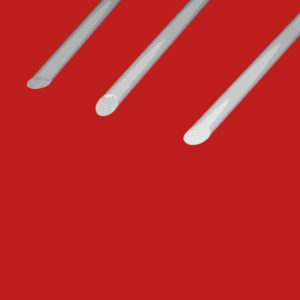 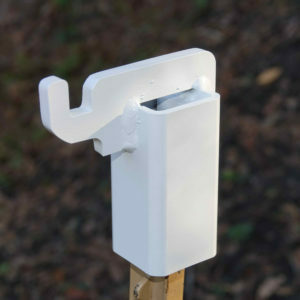 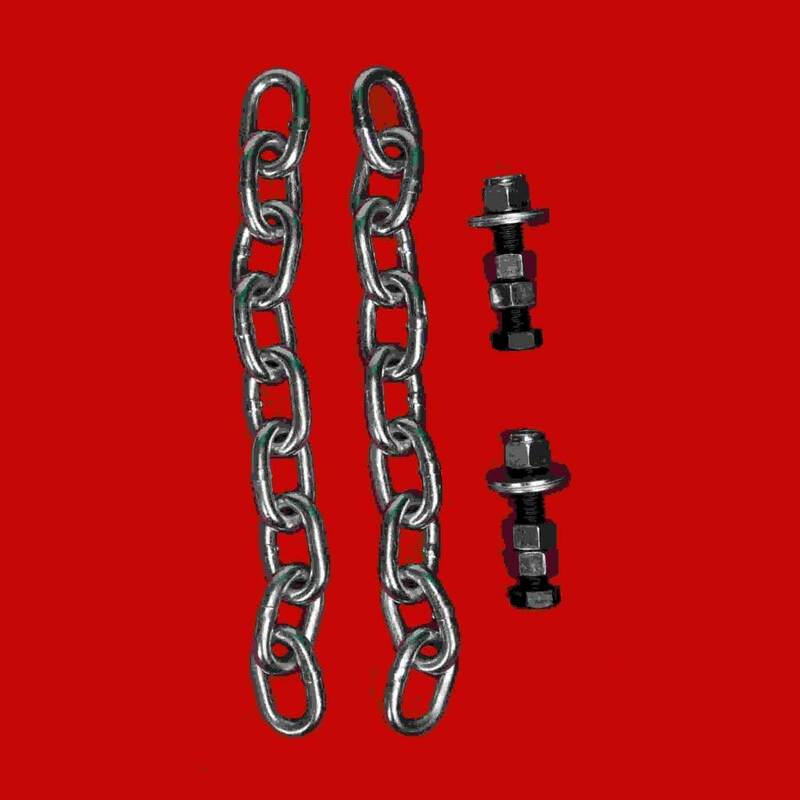 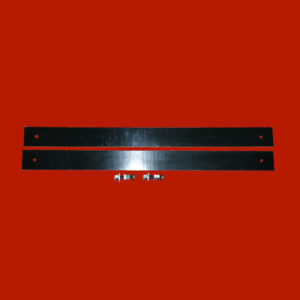 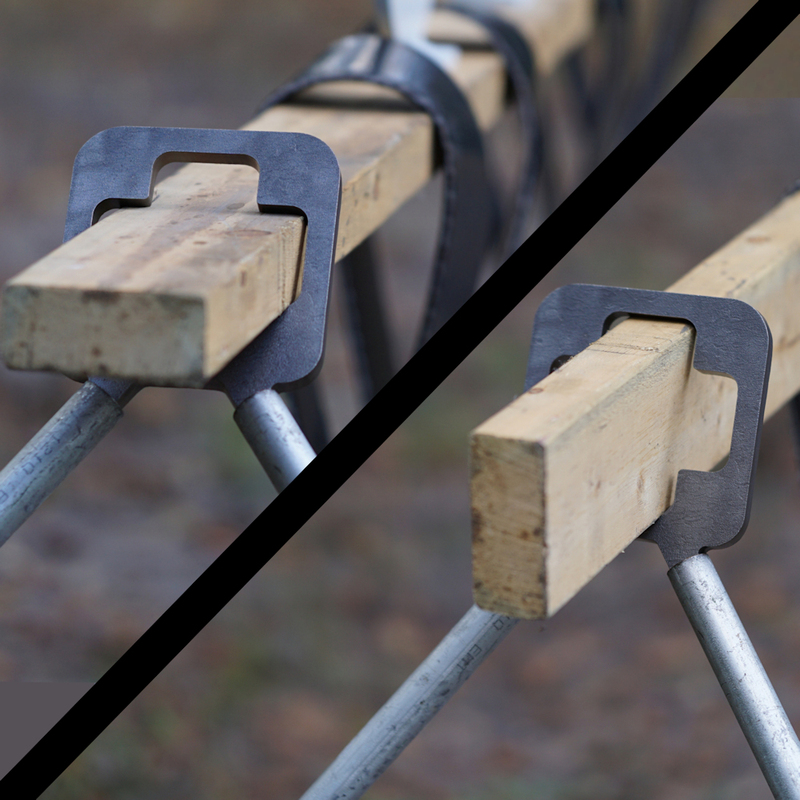 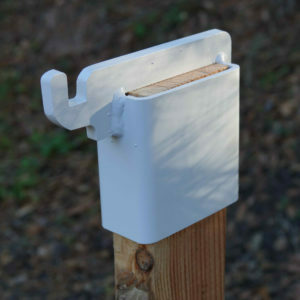 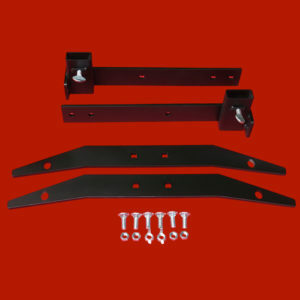 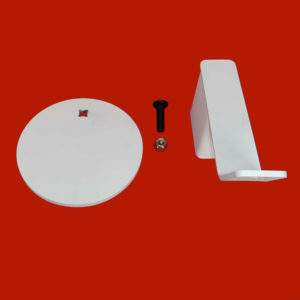 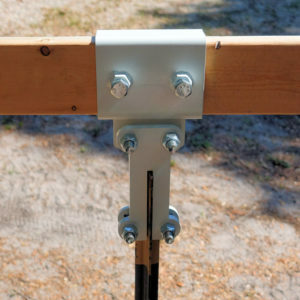 The stand accepts 3/4″-inch ID EMT Conduit (or other pipe) and 2-by-4 lumber. 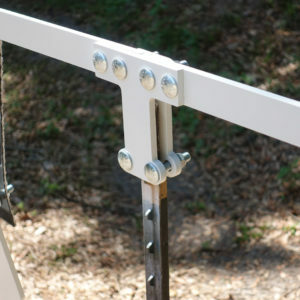 3/4″ EMT Conduit can be purchased for less than 3.00 apiece at major home improvement or hardware stores. 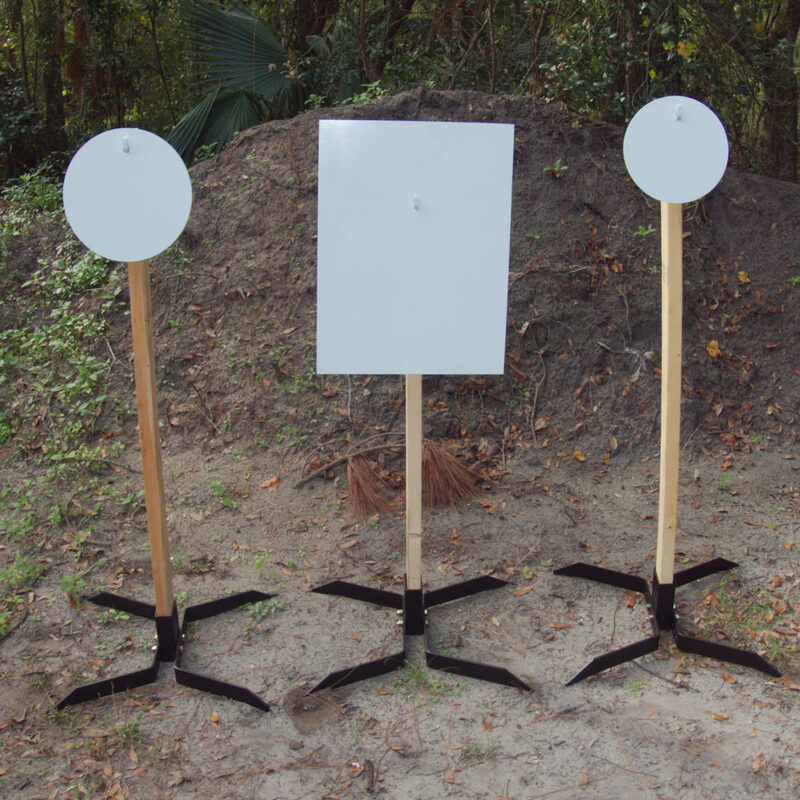 Our set up photo shows the EMT Stand with 4 pcs 5 ft. conduit, an 8′ 2×4 and some of our Double Eared Gongs. 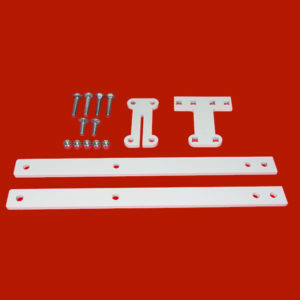 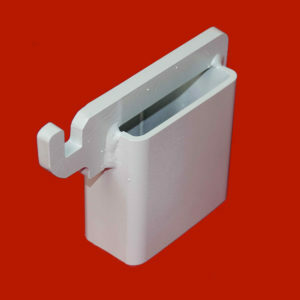 Brackets are NOT painted to keep price as low as possible. Brackets Only. No conduit, gongs or lumber included.